It's over to New Jersey for the next instalment in our series of roundups of houses from each US state. 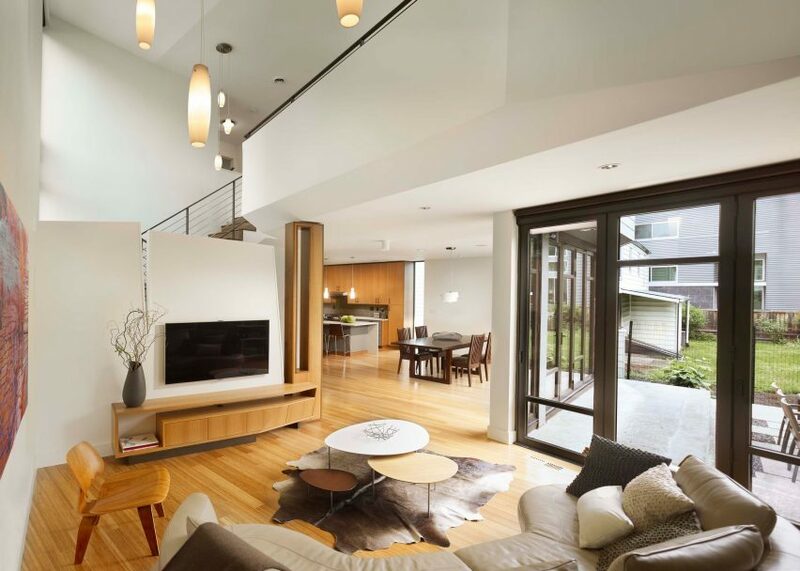 Our selection ranges from a beach retreat on the Jersey Shore to a contemporary suburban home in Princeton. 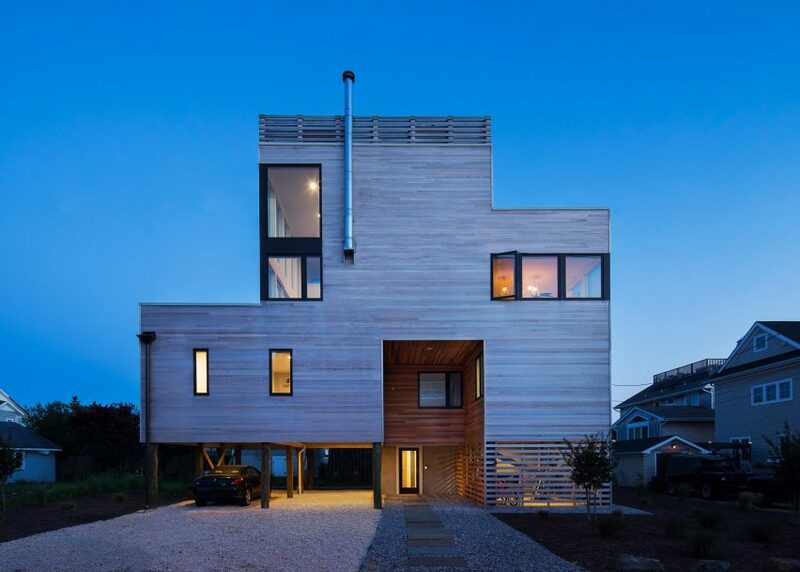 American firm Specht Architects has built this cedar-clad house on Long Beach Island that is raised above the sand on stilts. 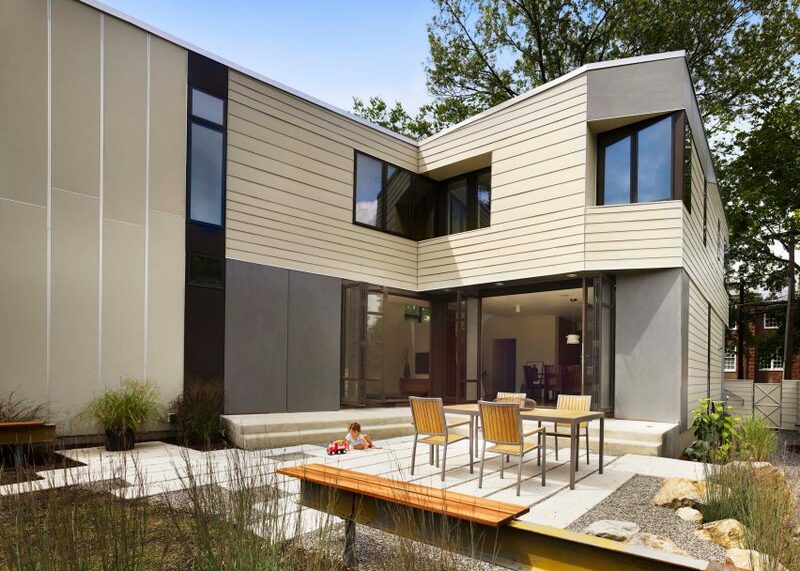 Made with a fibreglass roof, hurricane-grade windows, cedar siding, and stainless steel components, the house is built to withstand all types of weather. 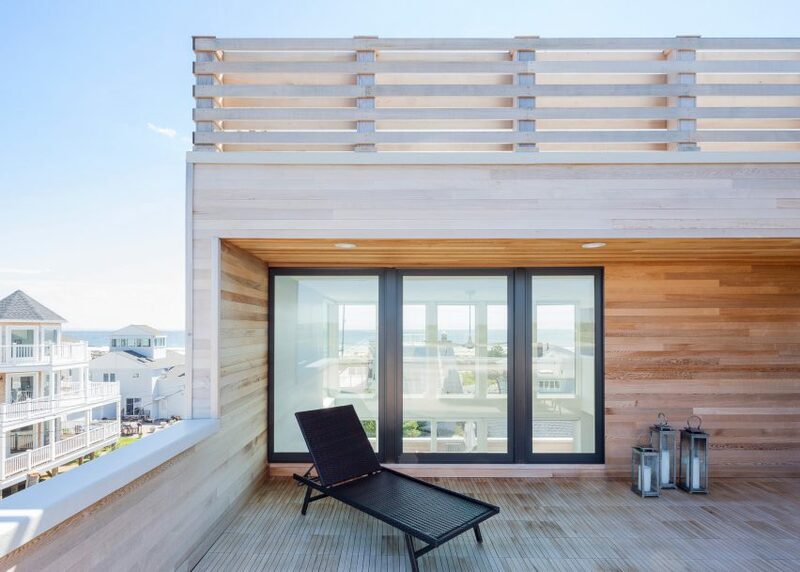 This beachfront house for a Manhattan-based couple comprises boxy, cedar-clad volumes that create expansive outdoor spaces overlooking the coastline. 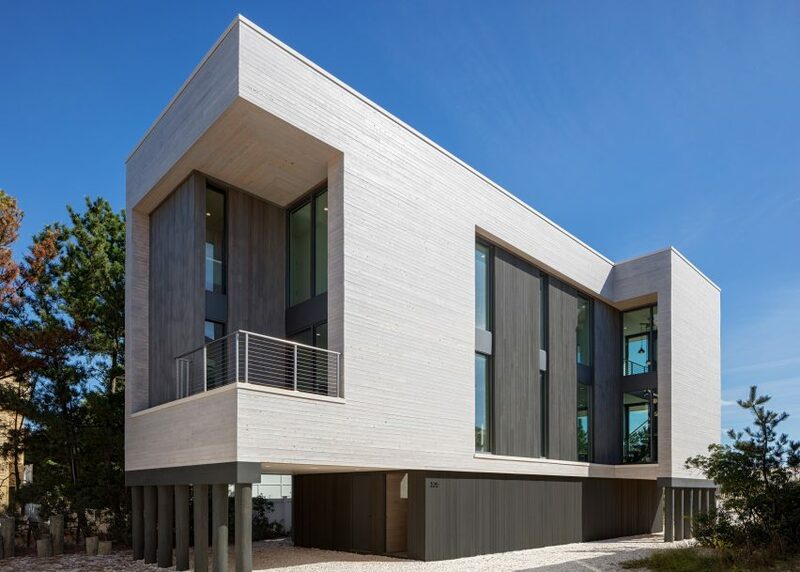 Located within walking distance from the beach, the entire structure is lifted on stilts and incorporates storage areas beneath. This house in Princeton is organised around a courtyard, offering views of a private garden as well as out to the surrounding woodland. 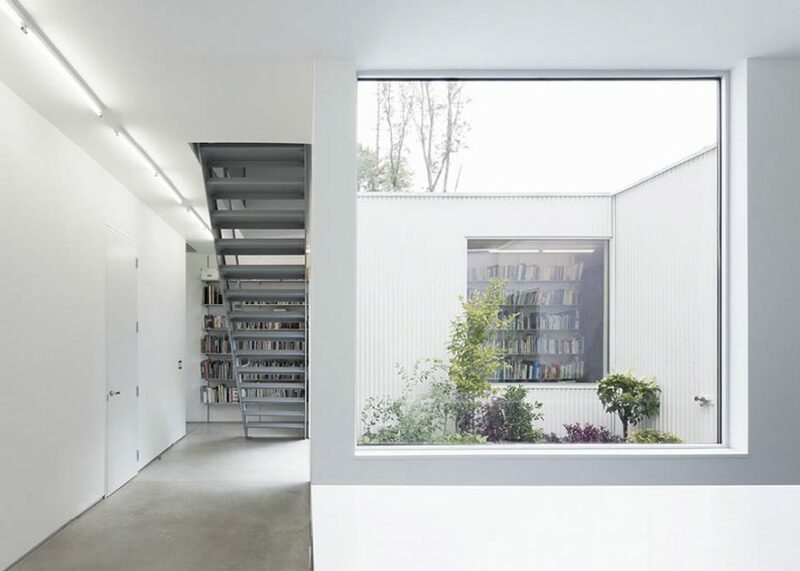 The 2,500-square-foot (232-square-metre) home is clad in white vertically-oriented corrugated metal with windows carefully placed to emphasise the vistas of the landscape. 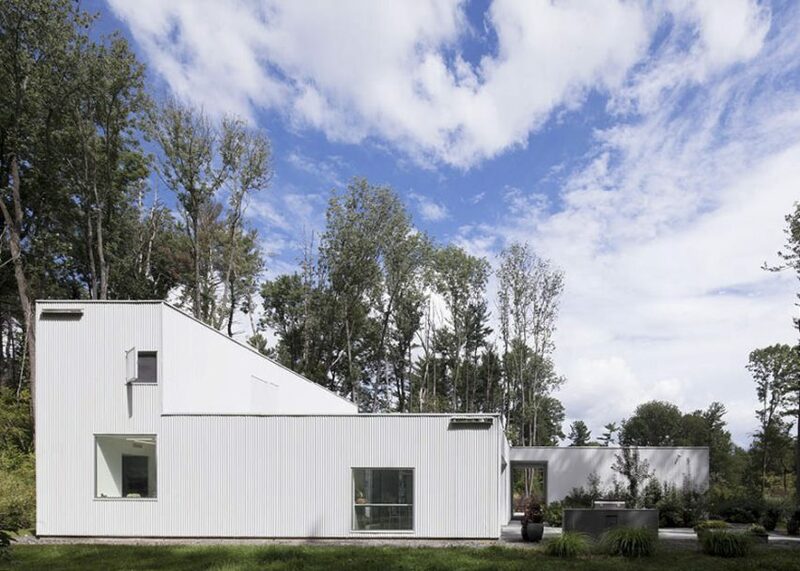 This prefabricated family home in Princeton was conceived as an "experiment" in providing a high-quality residence that is sustainable and affordable. 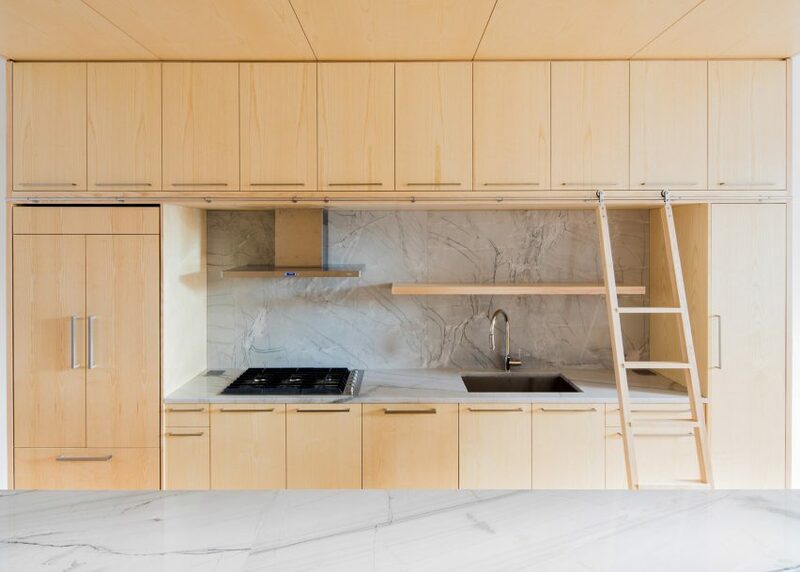 The two-storey house was assembled in a single day, and while the project cost is confidential, the architect said it was about 20 per cent less than the cost of non-prefab house for the same site. 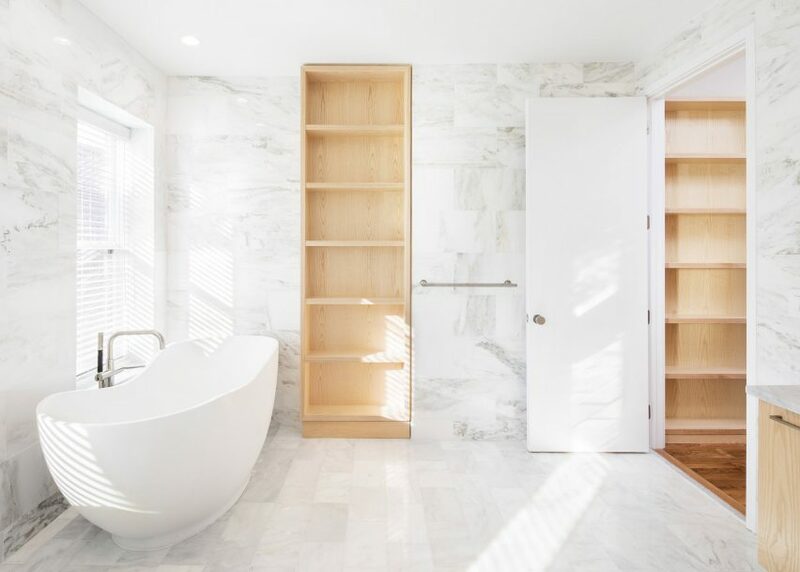 Custom-made pinewood cabinetry and white marble walls feature in this overhauled 19th-century row house in Jersey City. 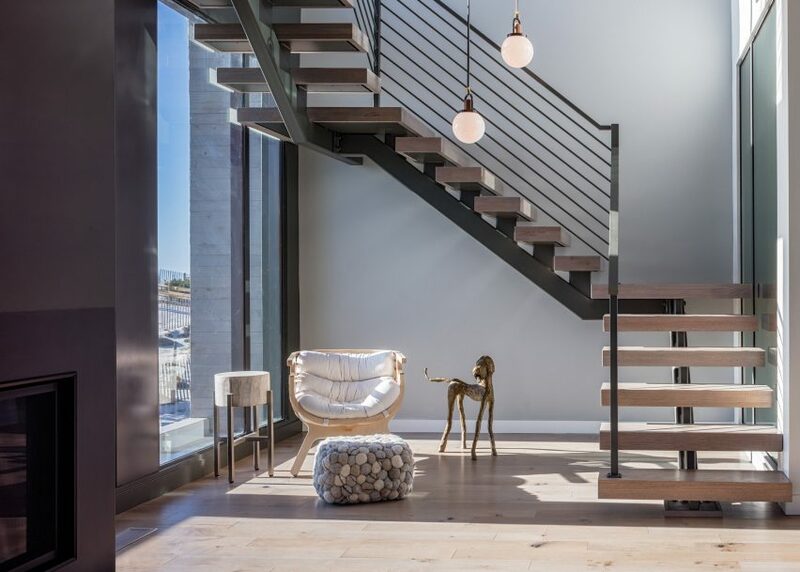 The four-storey residence was renovated to create bright and airy interiors with plenty of daylight, but neighbouring buildings on the home's longest sides left only limited space for windows on the front, rear and roof.